From three-time Newbery Honor author Gary Paulsen comes a laugh-out-loud novel about six wacky misfits who get stuck together in a school restroom and discover friendship. It seemed like a normal school day, until a horrible storm forced the very cautious school administration to make everyone hole up in a safe place. 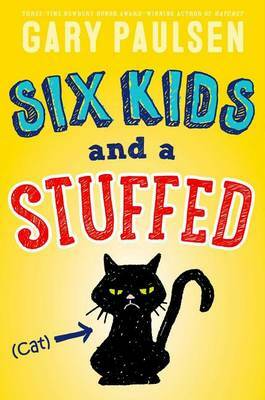 Six students find themselves stuck in a tiny, questionably smelly space a school bathroom with a stuffed cat for entertainment. Hijinks ensue and the unexpected happens. They enter as strangers and leave as friends. Get to know the story even better with a special script that accompanies the novel, so any six kids can get together with their friends and perform the story anywhere they d like.